You can continue to add notes about this fitting session on the form below. 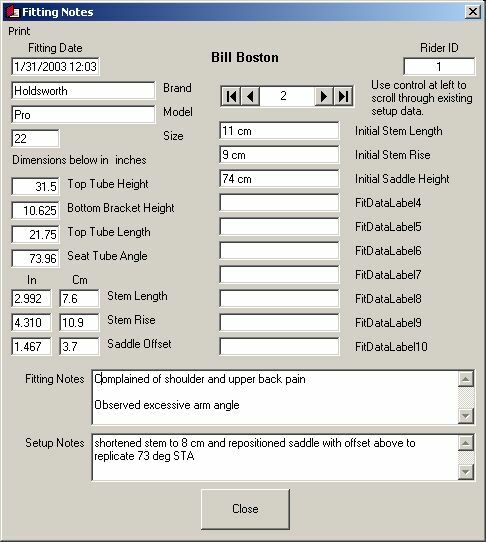 These notes will be available from the Fitting Notes button on the Rider Data form for review at a later date. Thank you for taking the tour of Accufit Coach. You can request an evaluation copy of Accufit Coach from the Downloads page by selecting Accufit Coach and completing the request form.